The East Africa Community will have four sides at the 2019 Africa Cup of Nations after the qualifiers were completed on Sunday, the most representatives they have had at the continental showpiece in 21 years. The quartet will do battle at the expanded 24-team competition in Egypt from June 21-July 19, with the draw for the first round pool stages scheduled for Cairo on April 12. 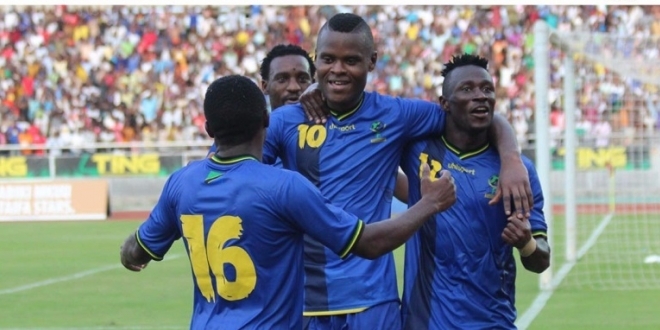 Tanzania beat Uganda 3-0 at the National Stadium in Dar es Salaam on Sunday to qualify. Heading into the final round of qualification matches, Tanzania needed to beat hitherto qualified Uganda and hope Lesotho fail to win against Cape Verde. Uganda Cranes-Despite the loss, Uganda topped the standings to seal their spot at the continental show piece. Kenya’s Harambee Stars finished second in Pool F of the 2019 Africa Cup of Nations Qualifier after falling 1-0 to the Black Stars of Ghana away in Accra in the final round played on Saturday. Both teams had already qualified for the continental showpiece to take place in Egypt in June with Kenya returning to the Nations Cup for the first time in 15 years. Burundi’s Intamba ku Rugamba, qualified for the African Nations Cup for the first time after holding Gabon to a 1-1 draw in Group C to collect the point they needed on Saturday in Bujumbura. Burundi are the third team who will make their debut at an expanded African Nations Cup, played in Egypt in June and July, with Madagascar and Mauritania having already booked places. Burundi’s draw at a packed Prince Louis Rwagasore Stadium on Saturday meant they ousted Gabon, whose star player is Arsenal’s Pierre-Emerick Aubameyang, for a spot at the tournament. With Kenya, Uganda, Burundi and Tanzania having sealed their qualification, the East African Community will have four representatives at the biennial championship.